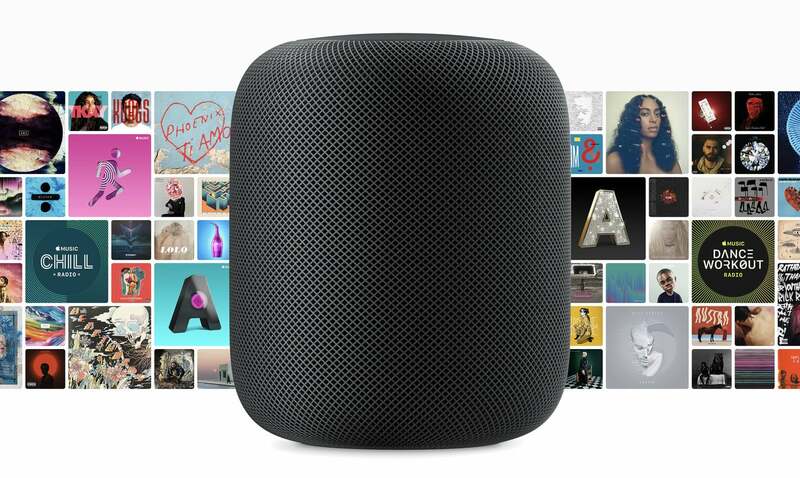 While on stage, Phil Schiller explained that Apple wanted to make a product that was both a combination of something Sonos and Amazon would make, meshing the idea of a smart speaker with great sound. 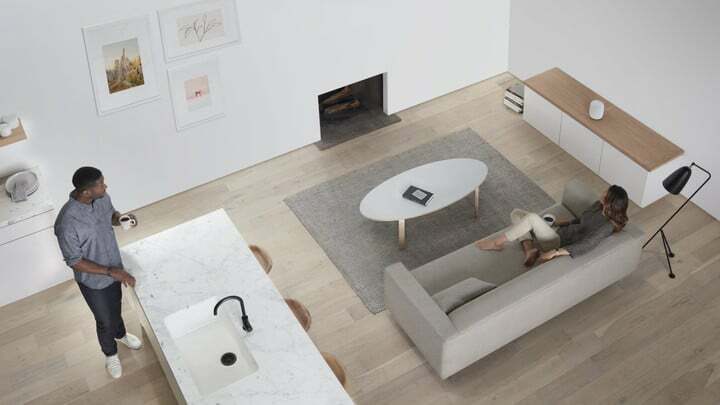 The HomePod features a 7 tweeter array with directional controls and precision acoustics horns. There’s also a 4-inch Apple designed subwoofer built right in, all of which is powered by Apple’s A8 chip. The design is Mac Pro-like in that it is circular shaped speaker wrapped in a mesh fabric. The HomePod also has a small light on the top that will flash when “Hey Siri” is prompted. Schiller says that Apple has been working to integrate a variety of actions with Music so that users can ask all sorts of interesting music-related actions like “who’s playing the guitar on this track?” This, of course, only works with Apple Music. Apple also touted HomeKit support for using the HomePod as a home assistant. It can also act as a HomeKit base station so that you can control a variety of HomeKit enabled accessories. Another interesting thing to note was Apple’s stance on privacy with this product. The company said that the device will only listen to you when you say “Hey Siri” and when it does, it will only send your info anonymously to Apple’s servers. Finally, when it comes to price, Apple is being somewhat aggressive with a $349 price point. While this isn’t dirt cheap, many, including myself consider this a pretty reasonable price given the included technology, especially if it sounds as good as a Sonos speaker does. One thing I would have liked to see is control of my Apple TV. Siri in itself is about hands-free convenience and while Music, and smart devices are great for that, asking to watch a movie or TV show would be great too. Unfortunately, Apple made no mention of this type of feature. Hopefully, we’ll see something like it come in the Fall alongside the new Apple TV.